Continuing my recent love affair with Assi Brand Frozen Dumplings, I picked up a bag of their Hot Cooked Vegetable Dumplings. The Hot version is very similar in shape and ingredients to their Cooked Vegetable Dumplings. They have the same traditional Korean mandoo half-moon shape and are filled with soy bean protein, leek, cabbage, sweet potato noodle, onion, green onion, cabbage, garlic, and ginger. Essentially they are the Cooked Vegetable Dumplings with Hot added. 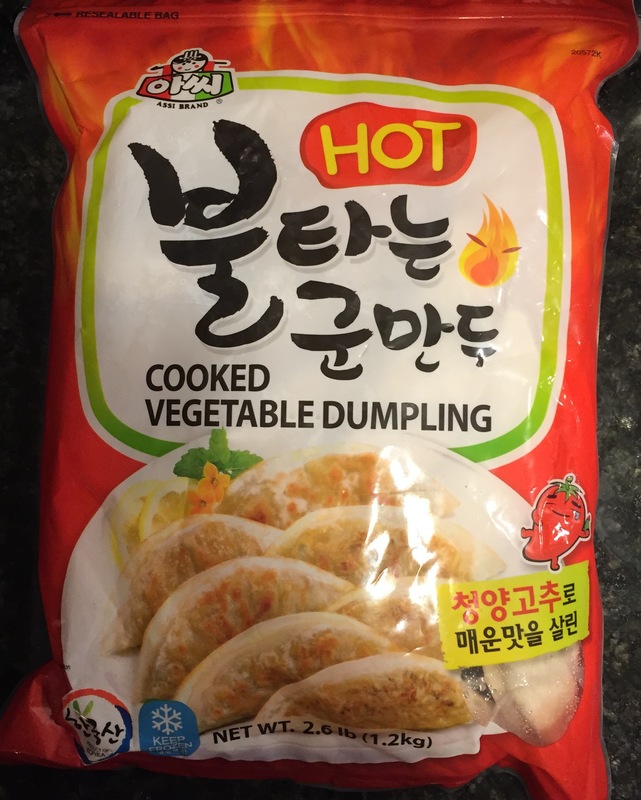 A lot of Korean dumplings are flavored with Kimchi and I was expecting the same here, but instead the Assi Brand Hot dumplings tasted like the spicy broth from packaged Nongshim Shin Ramyun Noodles. (This is a great brand of packaged Ramen, and apparently in Korea an average of 80 bags of Shin Ramyun are eaten per person per year). The hot dumplings flavor is a straight up hot red chili and black pepper, and there is a lot of it, these dumplings are the spiciest frozen dumplings I have tried, close to scorching. Like the other Assi Brand vegetable dumplings the Hot variety is vegan. Assi is the flagship brand of the Rhee Bros food company located in Maryland, USA. Rhee Bros was founded in 1976 by a Korean student living in the U.S., who, to make ends meet, initially sold dried squid shipped to him from Korea by his mother. According to the Rhee Bros website, Assi is derived from the traditional title for a young sophisticated woman. 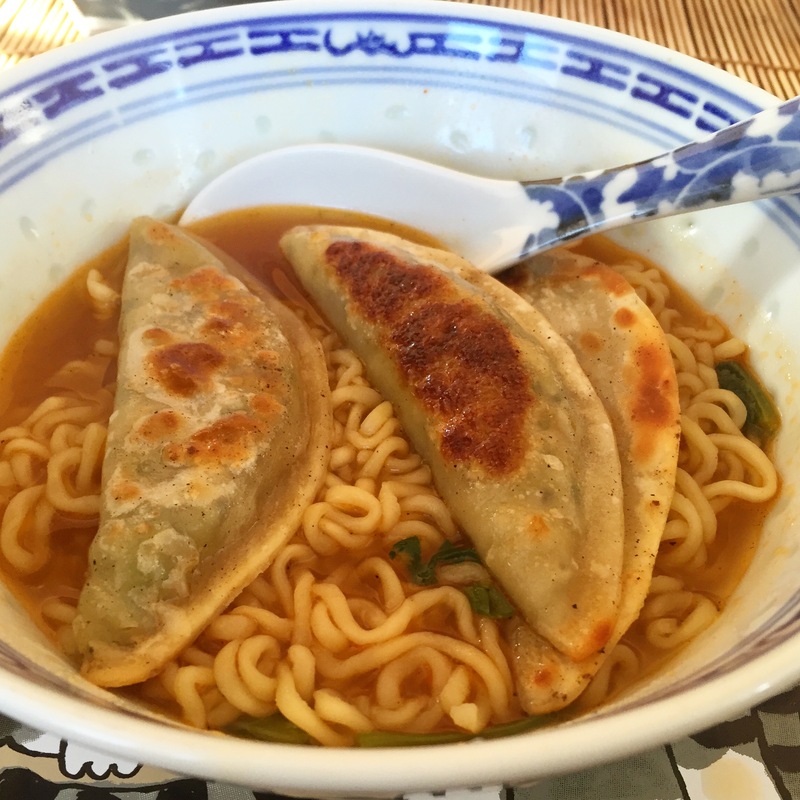 This entry was posted in Frozen Dumpling Review, Kimchi, Korea, Mandoo, Vegan, Vegetarian. Bookmark the permalink.